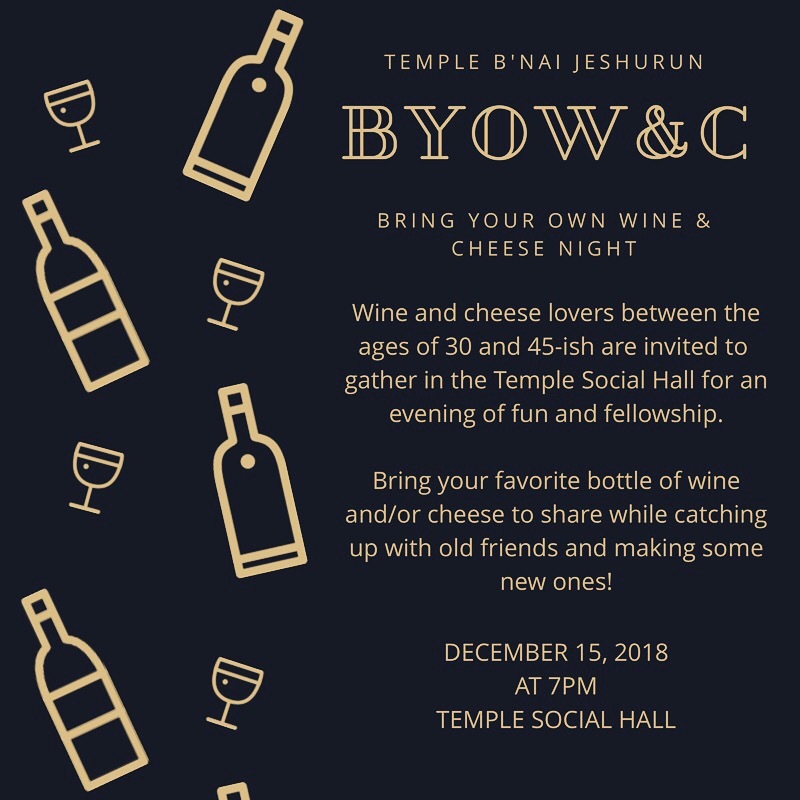 Bring Your Own Wine & Cheese Night!!! Looking forward to this fun social event for the 30s-45ish crowd at Temple! Contact Dana Dickson at dydickson27@gmail.com with questions! « Holiday Donations Needed!!! » Movie Night this Friday, December 14!